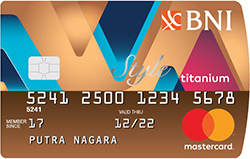 Enjoy many spesial offers with BNI Mastercard World. 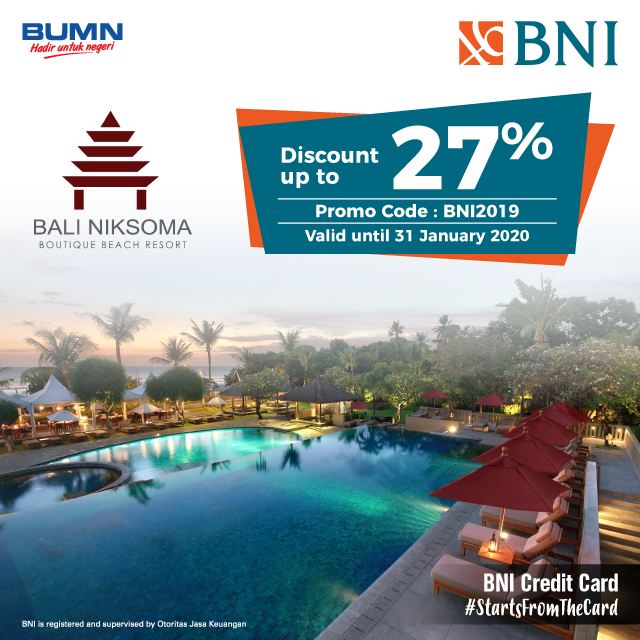 Best Price up 20 % for airlines ticket (via BNI teletravel). 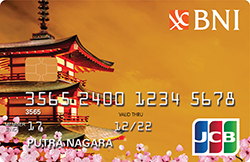 Cashback 5% for Duty Free Transaction.  3X BNI Reward Points for Overseas transactions. 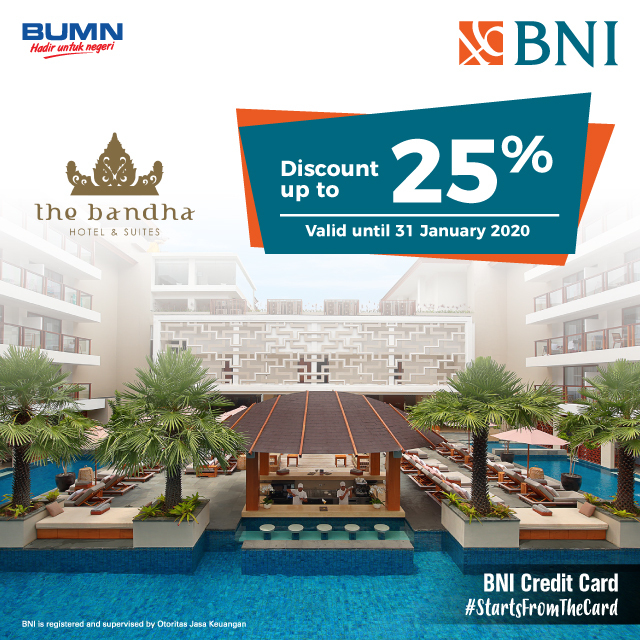 2X BNI Reward Points for Every Transaction in selected Merchants (dining, hotel, travel, transportation and airlines). 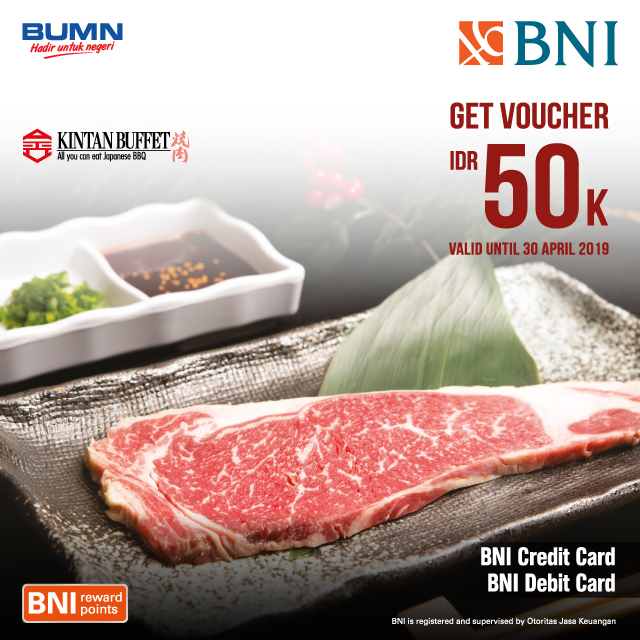 Enjoy the privilege of free Executive Lounge at BNI partner airports. 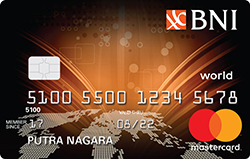 Free Lounge Key membership program. 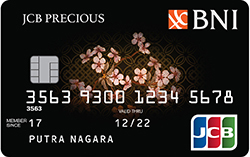 Enjoy many privileges with BNI JCB Precious all around the world! 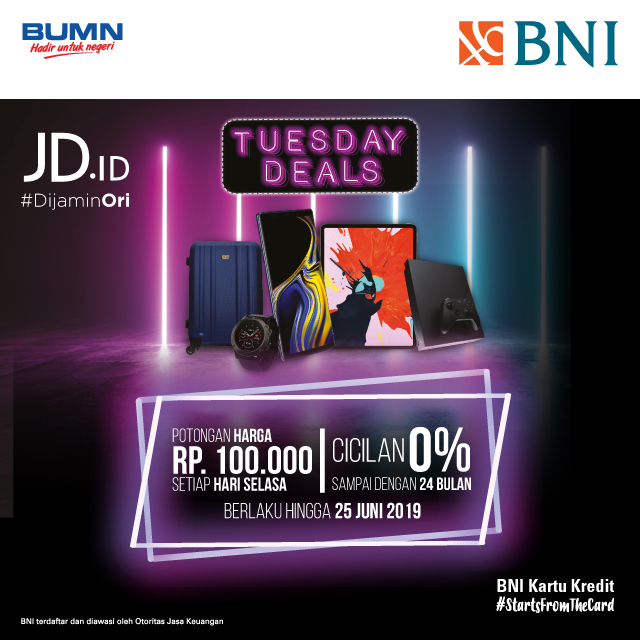 Special offers and discount made exclusively for JCB Cardholders at selected merchants all over Indonesia and overseas. Free access to Executive Lounge at Concordia Lounge Denpasar, Saphire Lounge Terminal 3 Ultimate, TG Lounge Makassar, Saphire Blue Sky Lounge Kualanamu and Concordia Lounge Surabaya. 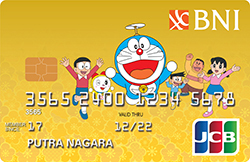 Spesial design for your shopping experience (Japan and Anime Doraemon). 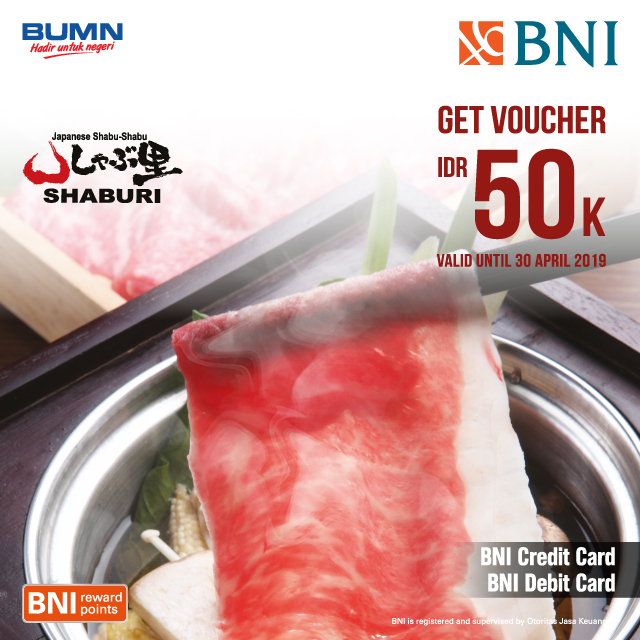 Spesial promotion for JCB Cardholders at selected merchants. 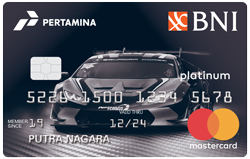 Remarkable Adventure for your Extraordinary Journey with BNI-Pertamina Card. 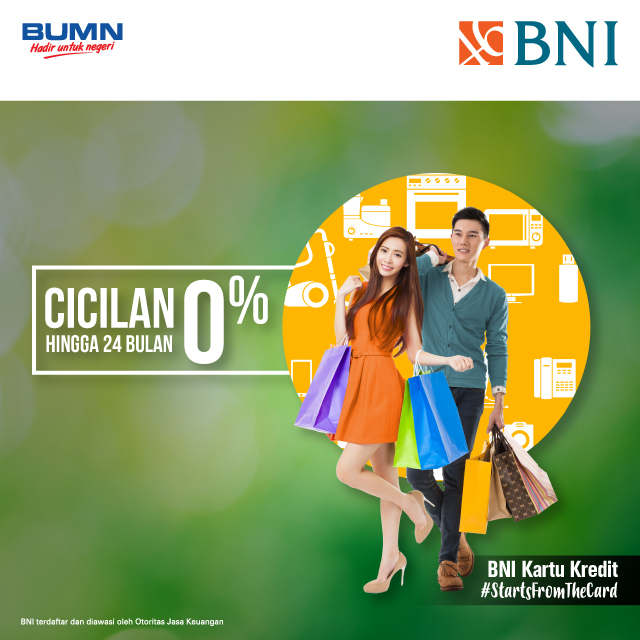 Get Cashback up to 3% for every transaction at SPBU Pertamina. 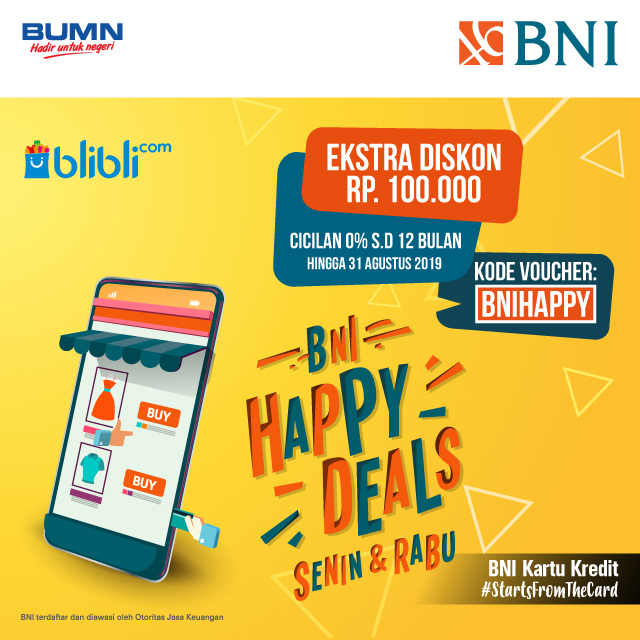 Get many spesial offers at selected merchants. 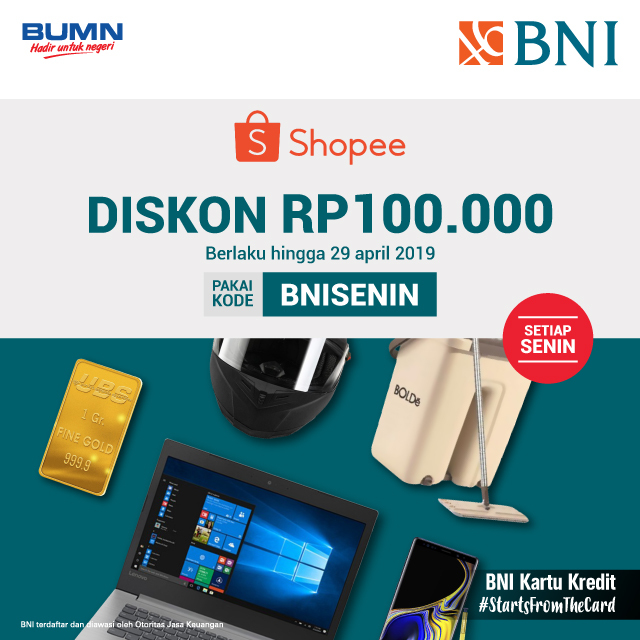 Spesial privilege for millenials generation. 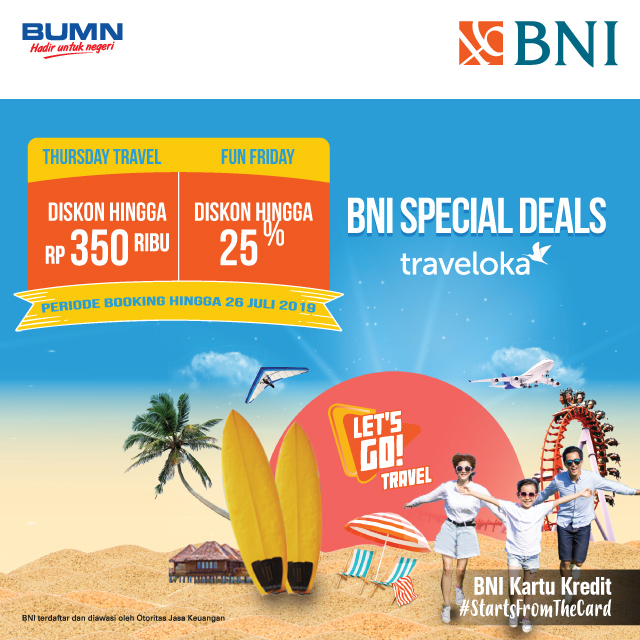 Get many spesial promotion at travel and entertainment merchants. 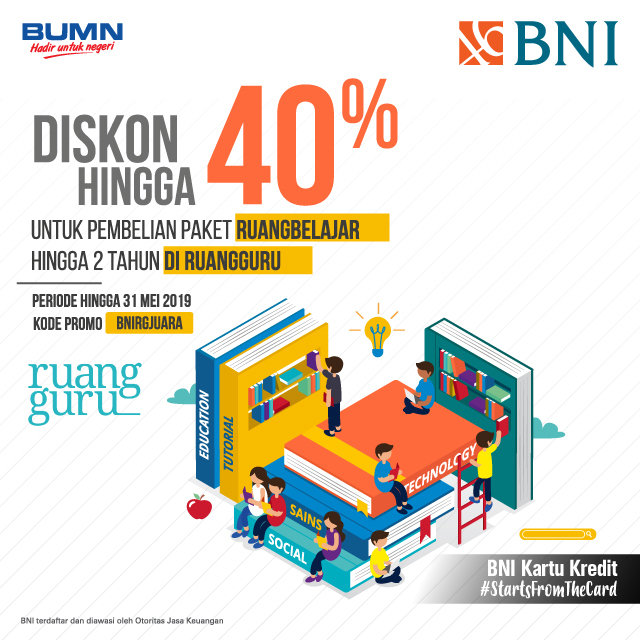 Nikmati berbagai keuntungan yang kami tawarkan dari Kartu Kredit BNI. 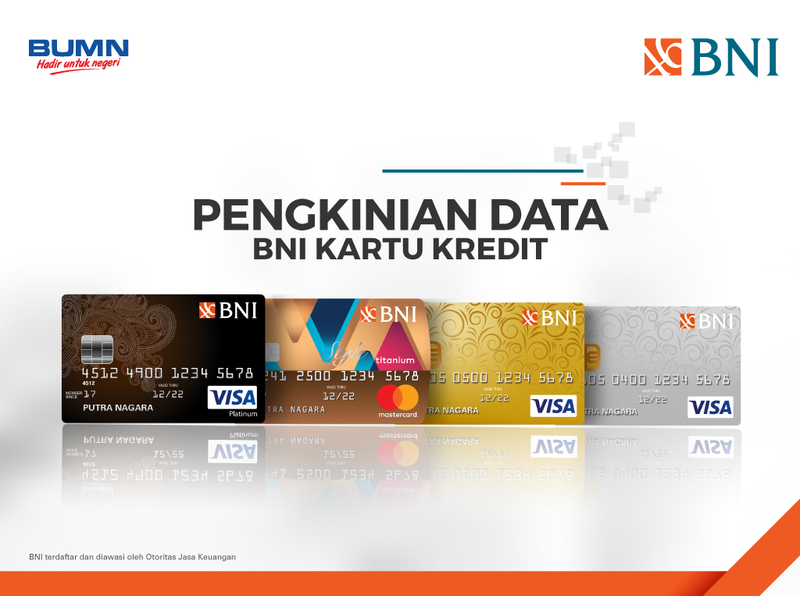 Sesuai Peraturan Bank Indonesia perihal kewajiban pengkinian data, segera lakukan pengkinian data Kartu Kredit BNI Anda. 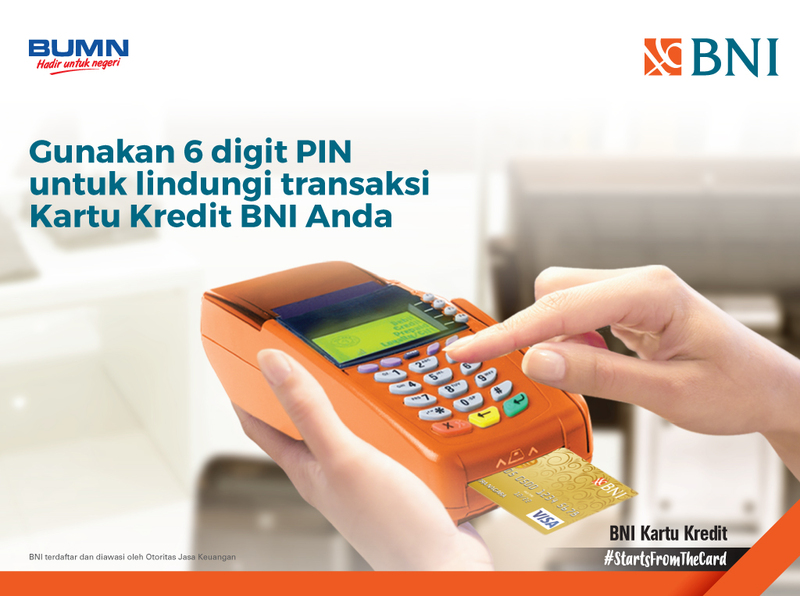 Kini transaksi Kartu Kredit BNI Anda di Indonesia dengan PIN 6 Digit lebih aman dan nyaman. 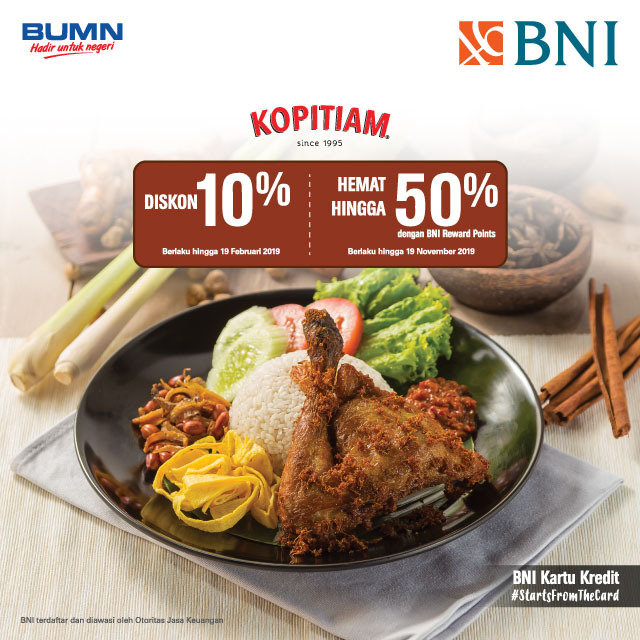 BNI terdaftar dan diawasi oleh Otoritas Jasa Keuangan.